I've had great literature teachers. I've had not so great literature teachers. What do you remember about the really great literature teachers who taught you? I am a people person. Perhaps you are? And, maybe your high schooler is, too? We've had people-person high schoolers learning in our home. These young adults needed to meet people--the real people who changed their field, maybe even changed the world--in order to remember. In the case of literature, some of our learners needed to meet the authors. Imagine our delight when we found this vintage treasure? Biographies of the lives of authors brought our literature studies to life. Reading the biographies of authors helped my high schooler understand how life events influenced their writing. Truly fascinating! There was life in our high school learning. With this resource, our current high schooler was able to read about Louisa May Alcott and then read the classic, Little Women. The people connection had brought literature to life while earning our high schoolers credit. Famous American Authors was a welcome addition to our high school American Literature course. It may be to yours as well. 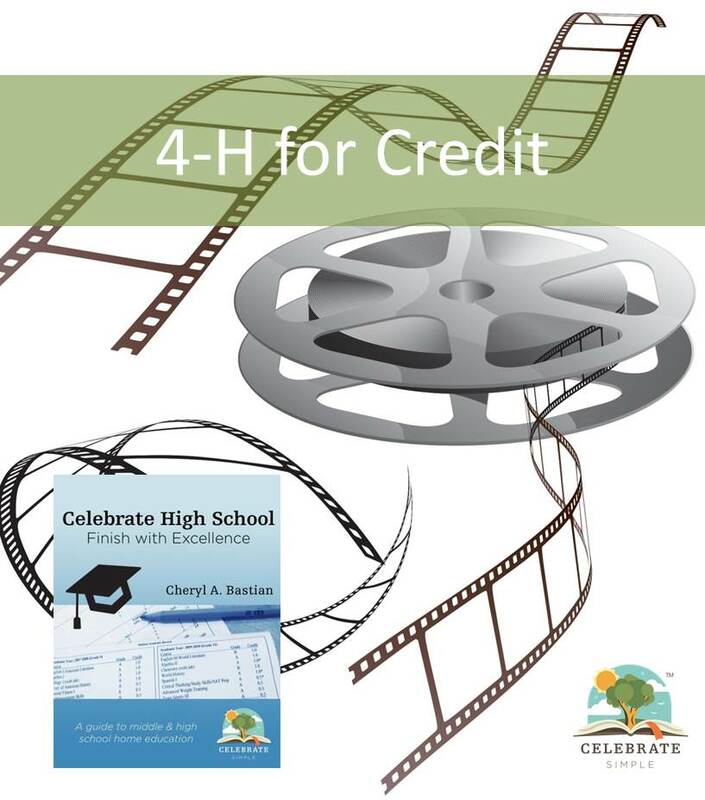 Be equipped and empowered with the information you need to celebrate high school. Sign up with your email address to receive the Celebrate High School newsletter. 2016 is marked as significant. Why? Because every moment of our days mattered--the triumphs and the trials. We lived and learned together being intentional about using what was real and relational--from cradle to shingle--toddler to adult. Thank you for walking that journey alongside us! We are grateful for you, our readers! As a recap of our year together, I compiled our top 15 posts of 2016. ENJOY! 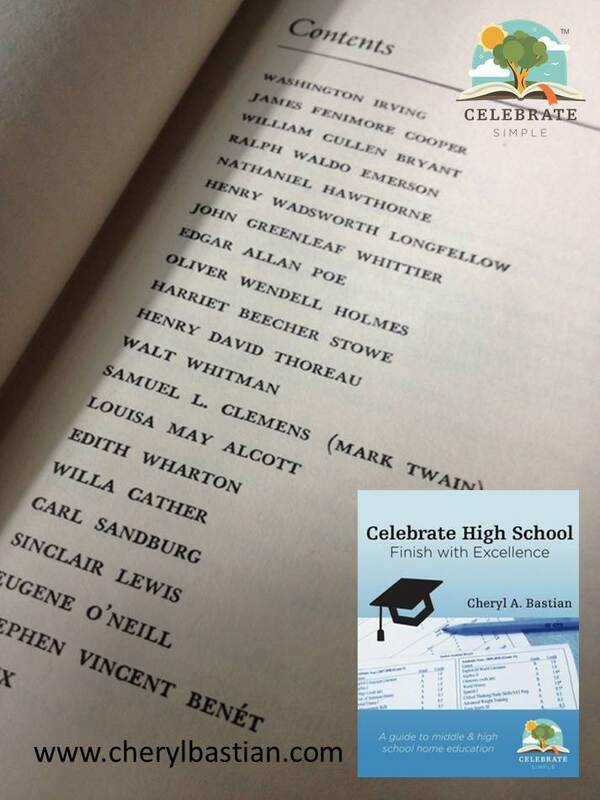 Just as there are many potential pathways to successfully completing high school--the end result of helping a young adult develop his or her divinely-created strengths and giftings--there are also many different avenues to the young adult's future; the years beyond the turning of the tassel. If you enjoyed this post, you might also be encouraged by Real-Life for High School Credit: Care and Concerns for the Elderly. Preschool is foundational for life and learning. In fact, it is during the preschool years that little learners master foundational skills which serve as a base for later learning. More importantly, attitudes and temperaments toward learning are set during the preschool and early elementary years. Words are remembered, taken with us through our days. This is true for us and it is true for our children and young adults. When I wrote the first edition (who remembers that first spiral-bound resource?) 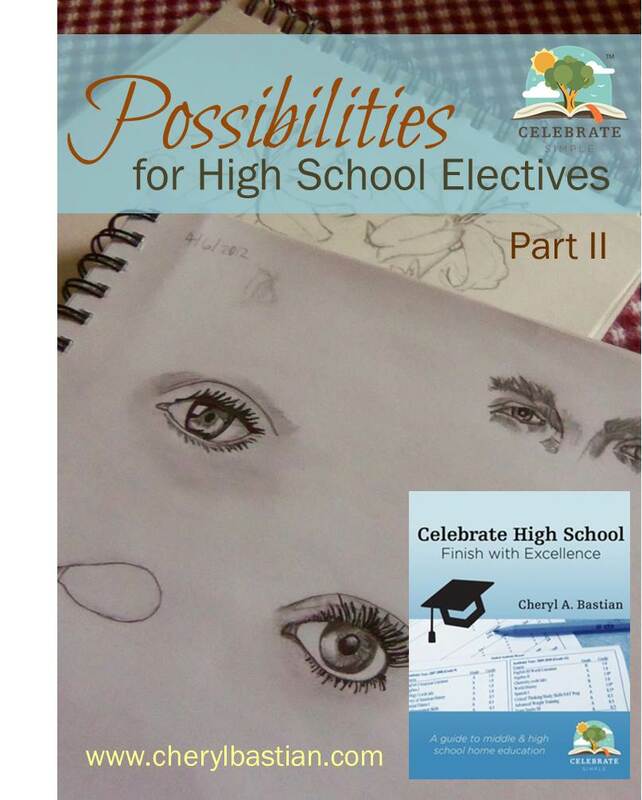 Celebrate High School I included a sample list of potential course titles--both core and elective. When I published my extensive revision in 2015, I expanded my list based on our experience and the experience of those with whom we work. If the information in this post was helpful, you might want to continue on and read Part III. Some of my children love making lapbooks, others prefer unit studies. Still others learn best when we incorporate field trips into our days. And, our middle and high school young adults? They have learned at co-ops, through online courses, and with personal independent study. "How do I give grades in high school?" 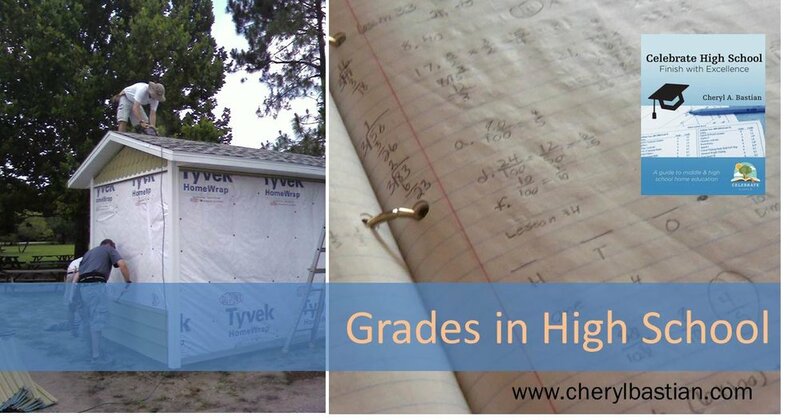 "Our high school learner is very active in 4-H. Can we use any of what the student is doing toward high school credit?" If you have middle school learners and are wondering how you can help them manage time, organize belongings, and pursue interests, this post--Magnificent, Make-A-Difference Middle School--might be helpful. Learning is the natural outcome of everyday living, especially for little learners. With a few intentional questions here and a purposeful explanation there, preschoolers can learn naturally from walking alongside older siblings and significant adults. Through everyday experiences, preschoolers gain a jump start to mastering foundational cognitive, social, emotional, physical, and spiritual life skills. By the time the young learner blows out six candles on the birthday cake, significant progress toward mastery of foundational skills has likely been made. If you are seeking ways to help your little learners do what they can, 3 Things They Can DO on Their Own, might be helpful. An interest evolved into an independent study, a year-long learning adventure. Science--especially animal science--is particularly interesting to little learners. If you have little learners with a zest for all things living, check out the book list in Vintage Science Readers for the WIN! Ten minutes later, peering out the bedroom window to check on the adventure, my heart smiled--three little learners discovering, wondering together. Co-laboring in learning. Looking for a way to learn math outdoors, in nature, where children crave? Check out Math Adventures! We have used several approaches to formulating classes based on strengths, interests and the future plans of the young adult. Interested in earning credit for writing college essays? This post--High School Made Simple: College Essays for Credit--might offer some insight. Keeping early learning active and fun! Picture books can encourage learning. Read Aloud to Foster Counting Skills lists some of our favorite math picture books. Oh yes, there is good reason to teach cursive, teaching correct strokes and rotations. Proper letter formation does make composition easier. However, once initial instruction is complete and letters are formed properly, practice begins. Practice. Interested in hands-on, real-life, spelling activities? This post--What About Spelling?--has lots of practical ideas. A trip to the electronics store. I was hoping to go alone. You know, time to enjoy quiet; time to think without questions. After all, it is ONLY the electronics store. If this post made you curious about interest-based learning, The Benefits of Interests: Motivating Learners, may answer a few more questions. 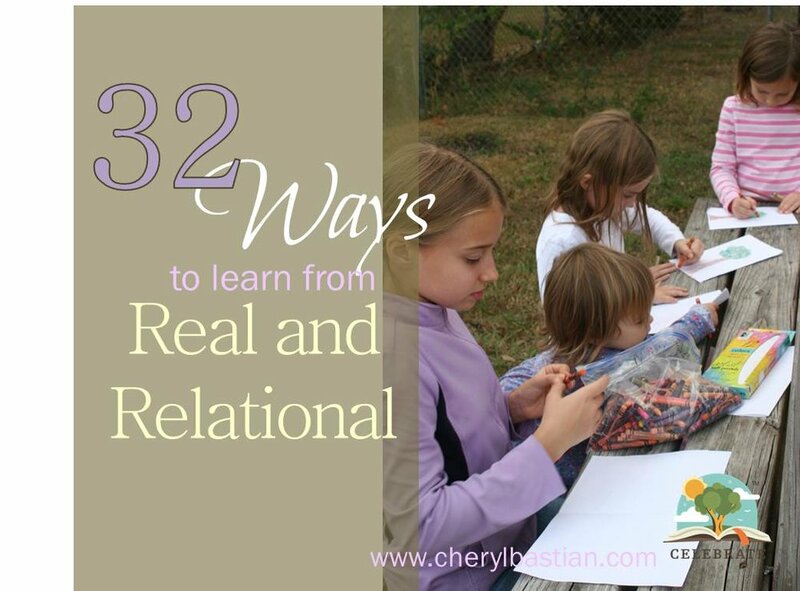 Want to know more about how your days can be intentional, real, and relational? Click below to sign up for the Celebrate Simple Newsletter. Sign up with your email address to receive the Celebrate Simple newsletter. "Mom, do we have any nurse books?" I started with what I knew. My knowledge of nursing minimal at best. A Florence Nightingale biography; I knew we had one in our biography section. I eagerly motioned her over to the shelves. A week. She read; late into the evenings. I could tell she was engaged. She had accepted the author's invitation to walk hospital ward halls where Florence served, cared. My daughter experienced the Crimean War, through the pages of that biography. The final evening, sprawled across the recliner, she closed the book and pulled it close to her chest. A sigh. I inquired. "I love that book! I know Florence. She persevered. She solved problems to help others. I know Florence." My daughter had been invited into a life, into a life that mattered. "Do we have any other nurse books?" I knew it would happen. I just didn't know exactly when or with which book. Stories have a way about beckoning us to places, meeting people we would never otherwise meet. While my daughter read the The Story of Florence Nightingale by Margaret Leighton, I heard a whisper, a quiet voice which suggested I build; build resources, other books related to nursing. In answering the call, I searched book lists. Bought used and asked knowledgeable people for ideas. All for a purpose. I found books. They were delivered to our door. My daughter read. About three books into her reading, she started to recognize connections between these often heroic women. At dinner I heard about her ah-ha moments. My daughter commented, sharing stories of how one nurse inspired, trained, or mentored another. I was astounded by the understanding she was gaining, truly amazed! My daughter's independent study began with one Living Book, a book about a real person who recognized a need, saw a problem and then found solutions. That one book led to an independent study, a study I didn't plan. My role was to foster her interest by finding resources--in this case books--and to be willing to listen--to process. There were many discussions, many summaries voluntarily shared because the learning intrigued and mattered. My daughter analyzed, compared, inferred, questioned. 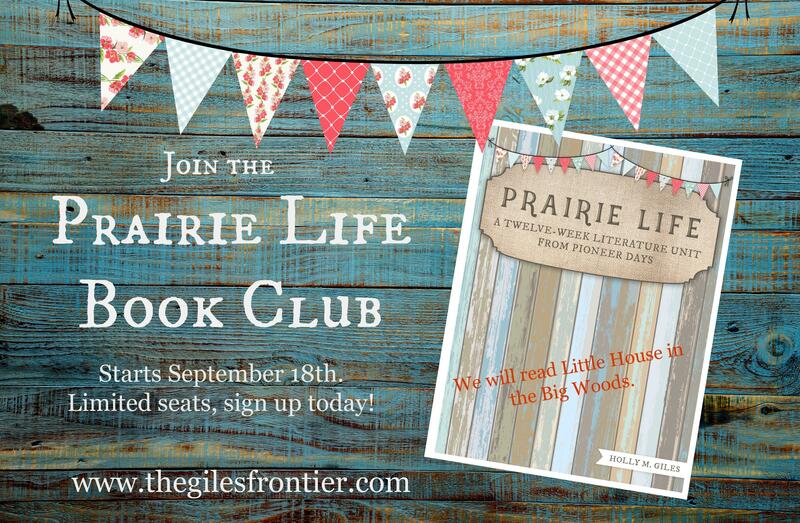 Surprisingly, her independent study began with one book; an invitation into the life of one nurse. One Living Book. One real story. An independent study. Remember, some of these books are intended for older learners. My daughter was entering high school when she read these books. What one family deems appropriate may not be considered acceptable for another family. Parents should consider their family's guidelines for reading material, as well as the maturity of their reader, when offering titles for learning.